The humble fax machine is no longer a common sight in homes; anywhere in fact. While this machine is essentially obsolete today, thanks to the wonderful online fax, it had led us to where are with technology. Faxing, however, isn’t dead. 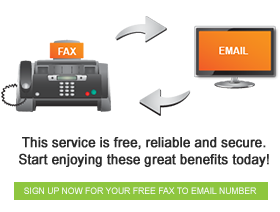 The evolution of online faxing means that the industry is thriving, just without the use of fax machines. If you were born pre-1990, you know what I’m talking about when I mention the fax machine. You remember fighting with yours as your document ran through the workings of that grey box. Faxing was invented in approximately 1846, by Alexander Bain. Now, when I say faxing I mean a machine capable of reproducing graphic images. He patented the technology in 1843. The design was improved on by a man named Frederick Bakewell; he managed to create a telefax machine. The first fax was sent in 1865, 11 years before the invention of the telephone. In 1881 a “fax machine” capable of scanning a document was invented. The technology was progressing in leaps and bounds. Richard H. Ranger invented a machine called a wireless photoradiogram in 1924. This machine was closer to our modern day fax counterparts than any others. It became the first machine to send a photograph, which was of President Calvin Coolidge. Within two years commercial use of the machine began. In 1924 the first colour fax was sent, while the United States Army transmitted the first colour photograph in the 1960s. We are fortunate enough to have the option of using an online fax service, which makes our lives substantially easier. However, if it wasn’t for these inventors, we might not have even have modern day faxing.